Yes it is possible but it’s best to avoid asking your Au Pair to drive unless necessary. Even if your Au Pair is an experienced driver, there is always a risk, particularly as they are used to driving on the other side of the road. If a driver is preferable but not a necessity, we recommend you selecting having a driver as a preference, as opposed to being essential in the criteria of your choice. This will allow you to have a much wider variety of candidates. This should be handled on a case by case situation and if possible, be agreed between the Au Pair and the Host Family. We advise that the Au Pair is still paid the same amount as it is likely that they will need the money to cover their english lessons. English lessons that they have missed due to illness will still need to be paid for. Therefore we reccomend that the Au Pair should be asked to make up the missed hours. 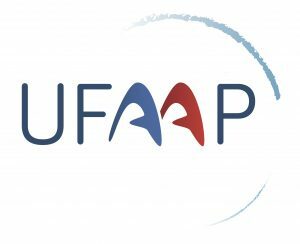 The Au Pair should call Ofsted and tell them that they want to become registered under the voluntary Ofsted registration scheme for home-based childcare. Ofsted will send form in the post. The form must be filled in and returned with a valid First Aid Certificate. Ofsted will carry out a police check (even if they already have a CRB). If the person has lived in the UK for less than 5 years, then they will have to get a ‘good conduct letter/ certificate’ from their embassy which needs to be written in English or translated into English by an authorised translator. This depends on the country of origin of the Au Pair, so check with Ofsted first. Ofsted confirm that it is also acceptable for the Au Pair to get a police check from their country of origin and send it to Ofsted, but it must be an official document, on letter-headed paper, stamped and translated into English by an authorised translator. Ofsted will then send through another form (called a verify form) that must be taken to the post office, together with a form of ID (eg passport) to verify their identity. The Au Pair also needs a childcare (or similar) qualification from their home country, or from the UK, which has to be equivalent to level 2, or the Au Pair must enrol on a Common Core Skills and Knowledge course, by contacting their local authority. Information about the eligibility of your qualification is available by contacting Children Work Force Development Council on 0113 244 63 11 or 0300 123 1033. The Au Pair also needs personal public liability insurance – most households have insurance, but this will not necessarily cover the Au Pair if they have an accident. The time take for registration is usually between 12 and 14 weeks; it often takes 6-8 weeks for the CRB to come back. The Au Pair will cover the cost of their travel to the UK. Our host families should collect them from the airport or their point of arrival, as this helps the placement to start well. If this is not possible the host family should cover the costs of the journey to their house. Should the placement breakdown, the host family can terminate the arrangement by giving two weeks notice to the au pair. If they wish the au pair to leave before the end of the notice period the host family must pay for their two weeks pocket money as well as either their accommodation or flight home. An Au Pair mau also give 2 week’s notice at any time during the placement. The goal of an Au Pair stay is for the Au Pair to improve their english. Therefore some Au Pairs will choose to do english courses. It is nice to check if there are english schools in your area and to support the Au Pair in their learning. Au Pairs cover the costs of the lessons themselves. As our Au Pairs come from Europe they are EU nationals and are therefore entitled to free health care under the NHS. A EHIC card covers the cost involves. We ask our host families to help the Au Pair register with a local doctor. National Insurance and Tax payments are required when pay is more than £157 per week. This is more than our guidelines for pocket money. An Au Pair is not a qualified childcarer and will not have the same level of experience as a nanny or a childminder. Although they must have some babysitting experience and enjoy looking after children this will mainly be regular babysitting or tutoring. Some candidates may have experience working on holiday camps as an activity leader. A handful of the French applicants will have the BAFA childcare certificate. All Pebbles Au Pairs will be passionate about working with children, you will need to invest your time to train and prepare them for the role. Most of our candidates are students on a gap year looking for a year out of their studies to improve their english and gain experience. The majority of our host families welcome an Au Pair in September who stays until the following summer. The family tend to ask the Au Pair to stay until the beginning of their holiday and then arrange for their next Au Pair to arrive when they return. We have candidates available to start all year round with most start dates being in September/October and January. The length of stay varies, but the majority of French applicants aim to finish their placement in the summer so they are back in France to start a new job or degree course in September. The Spanish and Italian candidates tend to be available for 6-12 months at any point during the year. We always have an excellent selection of Au Pairs available in the summer (June-August). Does an Au Pair need to be given holidays or bank holidays? In short, Yes. Whilst an Au Pair is not technically an employee they are still entitled to holiday time. Au pairs should be given 20 days paid holiday per year (1.66 days per month pro- rata). This should be paid if not taken. If the family goes away and leaves the Au Pair alone, they should provide food during their absence and normal pocket money should be paid. This can be deducted from their paid holiday allowance. UK Public Holidays are not included in the recommended holiday and Au Pairs can either be given the day off or have a day off in lieu on top of their holiday allowance. Whilst Au Pairs can be asked to give a hand with a few household tasks, they are not domestic staff. Housework is a very small part of an Au Pair’s role and should be no more than 5 hours per week limited to light duties largely linked to the children. Please note that asking too much housework is the number one reason an Au Pair hands her notice in earlier than her planned departure date. Clearing up after meals however this should be a joint task! Preparing the family meal – but this should be done with the family or taken in turns! Can an Au Pair care for my baby or toddler? An Au pair looks after children aged two and up. An Au Pair is not qualified or experienced enough to be given sole charge of babies or children under 2. We recommend a more professional childcare solution such as a nanny, a childminder or a nursery. In certain cases, an Au Pair can take care of children under 2. If a baby/child is 6 months or older and the host family has trained the Au Pair and is confident that Au Pair is capable and can provide the care, then it is possible for the Au Pair to take care of the child for up to an hour in specific situations (see below). This is also provided that the Au Pair is comfortable with providing care to this young age range. The host family should not ask the Au Pair to do any sole charge. One parent is working from home at all times and the Au Pair is babysitting in next room. The Au Pair takes the baby/toddler to the childminder/nursery and brings them home. Evening babysitting if the parents settle the baby before going out and are confident they’ll sleep through – parents should remain very local and able to return within 15 minutes. Working alongside a qualified adult such as a nanny or a grandparent. Can an Au Pair look after my baby or under 2? Can an Au Pair look after my baby ? No – an Au Pair is not qualifed or experienced enough to be given sole charge of babies or children under 2. We recommend a more professionnal childcare solution such as a nanny, a childminder or a nursery. How can an Au Pair help look after my baby or toddler? UK Public Holidays: These are not included in the recommended holiday and Au Pairs can either be given the day off or have a day off in lieu on top of their holiday allowance.